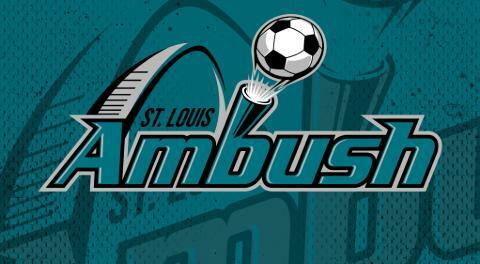 St. Charles, MO (March 29, 2019) – The St. Louis Ambush closed out the 2018-19 season with a heartbreaking 8-7 overtime loss to the Milwaukee Wave Friday night at the Family Arena. With the loss, the Ambush finished with a 10-14 record, while the Wave improved to 19-3. The opening frame ended with a 1-1 tie. Magui got the tally for the Ambush in the third minute of the quarter. Ricardinho Sobreira scored the equalizer with a high shot out of reach of Ambush goalkeeper Paulo in the final minute of the period. The Ambush took a 4-3 lead into halftime, courtesy of goals by Hewerton, and two from Justin Stinson. Milwaukee’s goals came from Ian Bennett and former Ambush player Andre Hayne. St. Louis increased their lead to two by the end of the third quarter. Lucas Almeida and Stefan St. Louis each scored before Hewerton got his second of the night. Former Ambush player Chad Vandegriffe and Robert Renaud each scored for Milwaukee. The Ambush took a 7-5 lead into the fourth period. The final stanza would see the Ambush blow that lead as Bennett scored two, including the tying goal with six seconds left in regulation play. With momentum in their favor, the Wave prevailed as Alex Bradley nailed the game-winner at 1:45 of the overtime period. For Ambush player and Head Coach Hewerton, it was his last game as a player. He posted a two goals and an assist. Next season, he will devote his talents solely to his coaching duties. For Milwaukee, the postseason looms as they will face the Kansas City Comets in the first round of the playoffs. For St. Louis, they will begin strategizing on how they will improve over the long off-season. Season tickets are now on sale for the 2019-20 season. For more information, call the Ambush office at 636-477-6363. Keep up to date on all Ambush news by following the official website, stlambush.com and on Facebook and Twitter.